Will Keep You Smiling All Year Round! We can’t keep summer with us all year long in Michigan – we do have four completely different seasons, but with a Four SeasonsTM Sunroom you can certainly enjoy all four seasons far more often in the comfort of your home! 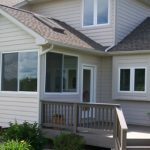 A quality product, delivered with quality service by the expert Lansing sunroom Contractors at Raven Enterprises of Lansing, is what we can offer to the greater Lansing area – and have been for years, as the Lansing area’s only Four SeasonsTM Sunroom contractor. 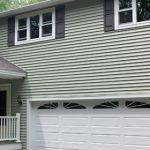 For sure, this type of addition not only adds to the beauty of your home, but also to its value and serviceability. One room, as spacious as you wish – and many reasons to have it! Look at it as a year-round investment – which it is! Bringing in that natural light, and keeping a comfortable room temperature, no matter the season, is the promise this Sunroom can give you. 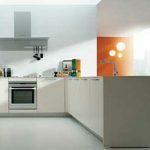 One room, one addition, and you can bring any season right into your home and with energy savings as well. The patented window glass technology used by Four Seasons Sunrooms will help keep your room’s temperature comfortable, and keep your vision of the outdoors as clear as possible, day and night. 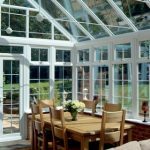 Stargazing can definitely be a plus, if you wish, or you can choose your own reason for adding a Four Seasons Sunroom – from a conservatory look, to a game room or even a kitchen, if that is your preference. Your needs and desires are what we at Raven will serve! Contact us today for a free, no hassle estimate!